We are delighted today to unveil the One Repo Advisory Board! Although I (Mike) and my Index Data colleagues are plenty involved with the world of open access, we’re well aware that others have far more experience and insight. So we’re working with four of the very best. 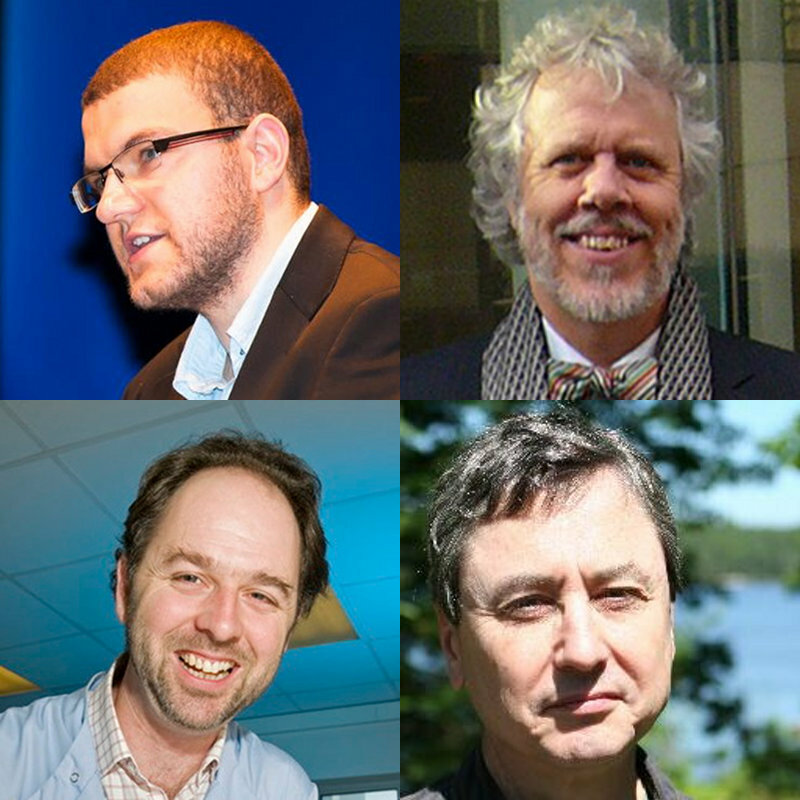 Martin Eve (top left) is the driving force behind the Open Library of Humanities. Jan Velterop (top right) brings vast experience from decades working with every publisher you can think of. Cameron Neylon (bottom left) contributes a unique vision of the ways open data can be used to enhance research. And Peter Suber (bottom right) needs no introduction (but here is one in case you’ve been asleep for the last 20 years). We’re deeply excited to be working with such knowledgeable and wise people, and confident that their decades of experience will help us to avoid all sorts of traps and pitfalls. This entry was posted in advisory board, events, people. Bookmark the permalink. While I strongly support & endorse this initiative, I do hope the “few more people” represent a more diverse and inclusive representation of both our profession and our society. Fear not, Jill. Seven people have been invited to join the Advisory Board. It happens by sheer chance that the first four to decide to accept were all men, but the three remaining invitations out there are all to women who, for one reason or another, have not been able or inclined to move so quickly. We are hopeful that we’ll be adding one or two extremely valuable additional members very soon.